News report and a photo of Tasmanian Redline #68 (Csepel 844.19, Autobus) which was caught fire late this afternoon. A mechanical fault has caused a bus to catch on fire on George Town Road on Wednesday afternoon. The fire was reported on the Tasmania Fire Service website about 1.20pm. Only the driver was aboard the Redline bus at the time of the blaze, and they escaped uninjured. Emergency services, including police, were on the scene of the incident at the George Town Road-East Tamar Highway junction to control traffic. Admin - Unnecessary quote of previous post deleted. Just noticed a TV ad for a company called Tasmanian Luxury Coaches.. I cannot say I've heard of them but the ad has a fairly flash looking BCI and King Long in a blue and silver livery and a Facebook page saying they are from Wynyard and a website saying they are coming soon..
wisbydriverB40 wrote: Just noticed a TV ad for a company called Tasmanian Luxury Coaches.. I cannot say I've heard of them but the ad has a fairly flash looking BCI and King Long in a blue and silver livery and a Facebook page saying they are from Wynyard and a website saying they are coming soon..
Wynyard Bus Lines John. The vehicle in Q, used to be Havnalook Charters King Long midi / 250hp Cummins. Metro's new Hospital Link service starts tomorrow. Of note is the PDF timetable includes MerseyLink Routes 40, 45 and 72, showing all travel options across the corridor. 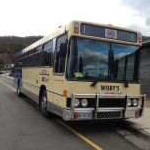 The Tasmanian Bus & Coach Society wish to advise they have taken delivery of Wells Waggons 1978 Volvo B58 / PMC. This coach has kindly been donated to the Society by the Wells family, who have entrusted us to preserve the vehicle for future generations. The coach itself has always been in Tasmania, initially with Tommy Smith (Riana) before passing to Medwins Coaches then onto Wells Wagons. In coming days, the TBCS will post some photographs of the coach. In other news, the HCC are celebrating 150yrs today (Sun 25th). On display will be the council's restored DD tram 17 and single bogie 39, along with tram 116 which is only starting to be restored. Celebrations kick off from 10am > 3pm. Metro Tasmania has announced consultation for a Launceston network review. Certainly seems to be a simpler route structure at first glance. 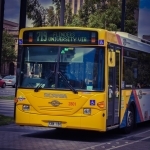 Upcoming events the Tasmanian Bus & Coach Society are participating in. The Festival of Wheels will be held @ Tolosa Park on SUN 6th NOV. It is envisaged the Society will display #200 (hopefully it's new addition #32 Wells Waggons' B58 Volvo) and the Transport Museum's TAA AEC. Admission is by donation to Moonah Rotary, who'll be wandering around Tolosa Park and exhibits, rattling tins for donations. Well, Xmas is almost upon us, and the Tasmanian Bus & Coach Society have had a FANTASTIC finish to the year with funding from the Tasmanian Community Fund and sponsorship from Volvo Australia, meaning restoration of Society vehicles can be 'full-on' in the New Year. Metro have still NOT announced the successful tenderer for the 100 new buses (apparently, according to news reports) announcement will be made in the first half 2017. As usual, lots of rumours as to WHO the tenderers are, but even THAT seems to be a closely guarded secret. So like everyone else, we shall know in the New Year. The only NEW bus spotted around the traps is a Bonluck midi for Walkers Coaches in Hobart. Extragreen's B7R/Marcopolo has had it's signwriting removed and is bare-skin now. 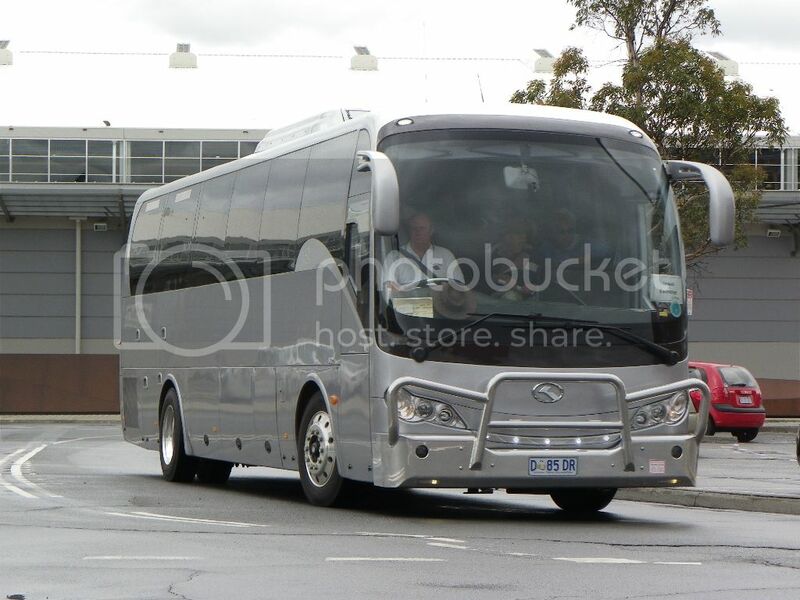 I think (not confirmed) Seabourne Coaches have an ex Wangaratta school/charter coach (as I say, yet to be confirmed, but spotted in Hobart numerous times) and Tasmania's own Redline have a NEW BLK articulated bus, to replace one affected by the June floods in Northern Tasmania. The Hobart City Council Park-n-Ride services are being operated by Coal River Coaches this year, using the Salamanca signwritten Rosas, a far cry from the low-floor city-buses of Redline, O'Driscoll in previous years. How they cope with passenger numbers closer to Xmas will be interesting. Running (2) buses though, may solve the problem. Last edited by Tas Bus Nut on Mon Dec 19, 2016 4:04 am, edited 1 time in total. Now you got the funding once the Christmas and New years hangovers are over out comes the whip Neil everybody in the TBCS gets cracking on the society buses sound like hard graft coming. Certainly is Chris. A LOT of hard work ahead. Those using excuses, like we've got no $$ to do anything, or it's more than we can handle, cannot use those excuses anymore Let's see who's committed, or should be committed Although accommodation is STILL the PRIORITY, we can get to work on restorations and temporarily accommodate the vehicles through rotation at different locations. Wangaratta Coachlines recently withdrew another Scania/ Volgren same as the one Seabourne already has so Neils report there is quite likely. 1whoknows wrote: Wangaratta Coachlines recently withdrew another Scania/ Volgren same as the one Seabourne already has so Neils report there is quite likely. Mitch wrote: News report and a photo of Tasmanian Redline #68 (Csepel 844.19, Autobus) which was caught fire late this afternoon.